If your property or backyard is covered and sunlight barely gets in, these plants for shady borders will definitely interest you. Have you ever wondered how many plants there are that can thrive in a shady garden? Is it even possible to create a beautiful ornamental garden in shaded areas? Most people have shade at least somewhere in their gardens, and thankfully there are an assortment of plants that thrive in shadowy spaces. This article covers 11 different plants that are both beautiful and excellent growers in shade. By reading this article, you will learn about the most gorgeous plants that can be used to fill in your shady borders. 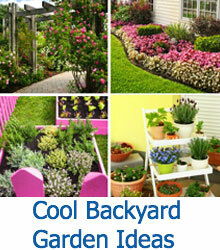 With these plants, it is possible for you to create a decadent flower garden, even in the shade. 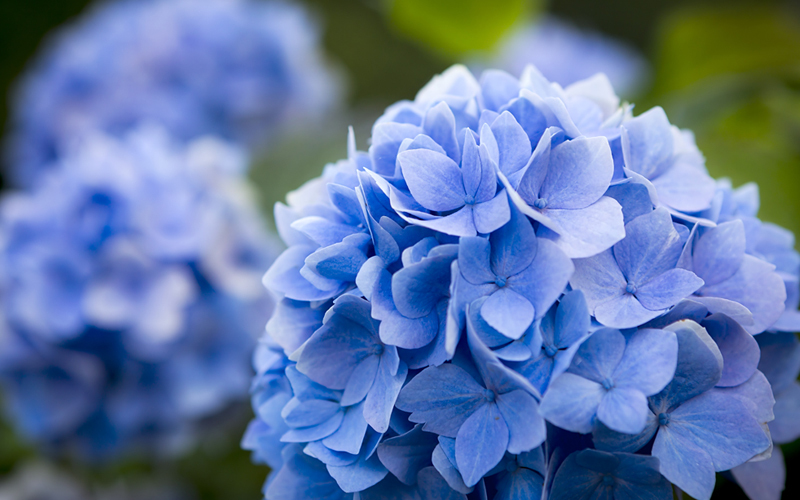 Hydrangeas are a type of shrub that bears beautiful clusters of flowers. These flowers can be white, blue. red, pink, light purple, or dark purple. They can grow to be about 1-3 meters tall. These plants are excellent for shady areas because they provide bursts of color and they are ornamental in nature. 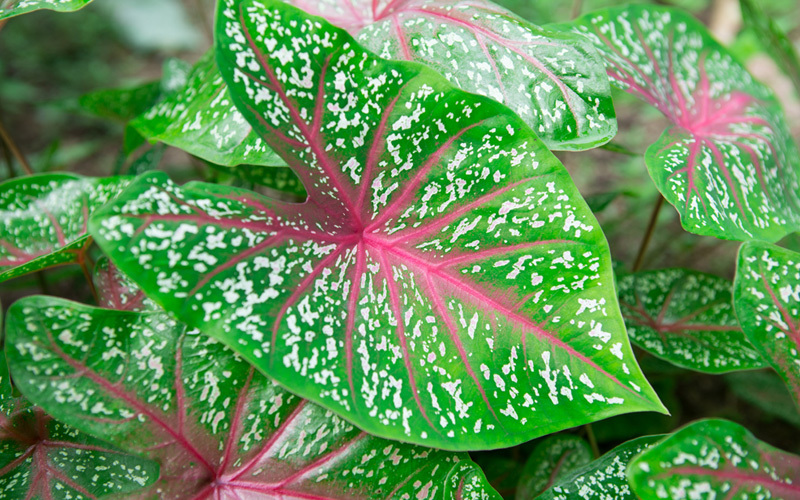 Caladium are famous for their beautifully unique foliage, which are typically heart or arrow shaped and can come in color combinations of red, pink, rose, white, chartreuse, and green. Caladium usually grow about one to two feet tall and have broad leaves. Their vibrant colors can provide the perfect contrast to fill out a flower garden. Hostas are similar to Caladiums in shape and size. However, their leaves typically don’t have as much color variety. 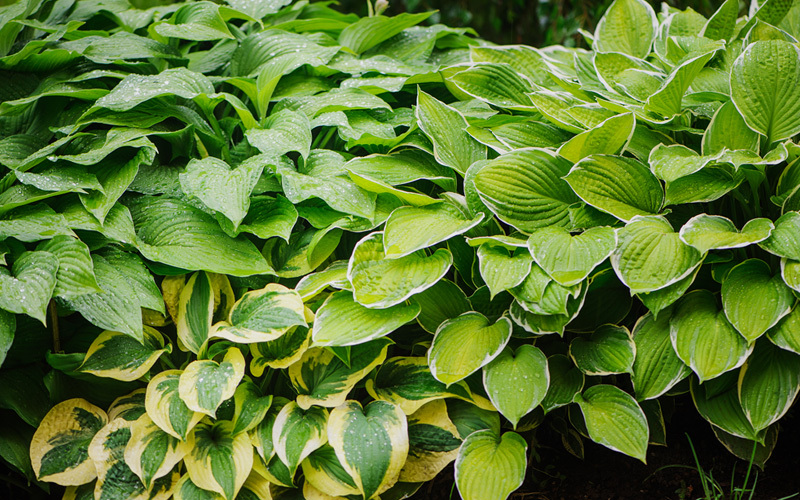 Hostas can grow in various conditions and require little maintenance. They are known for being good shade plants. Even though they are not as colorful as caladiums, hostas are decadent, unique, and give character to any garden. Nicotiana are flowery plants that can come in a mix of colors such as white, pink, red, lavender, and yellow. Nicotiana are actually tobacco plants that are cultivated as ornamental outdoor or house plants. These fragrant plants will add a lovely scent to your shady borders, especially when planted in clumps. 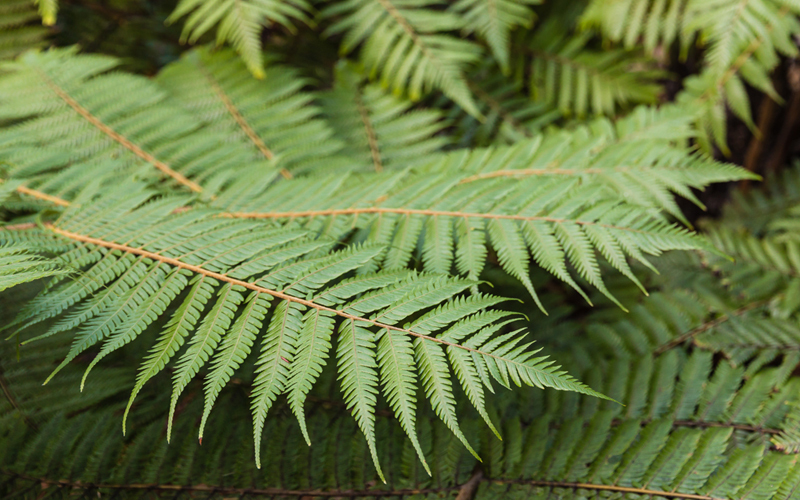 Ferns are distinguishable for their thin and pointy leaves, and their succulent green foliage. Their appearance is unique yet neutral, so they will fit in with diverse arrays of plants. They can grow in a variety of habitats, including dark, damp areas. They grow fast and are easily maintained. Coral Bells have low foliage with high-growing bell-shaped flowers of white, red, coral, or pink. The flower stems can grow up to 2 feet tall. The leaves have a characteristic shape and are usually green, but some varieties include shades of red, purple, or silver. 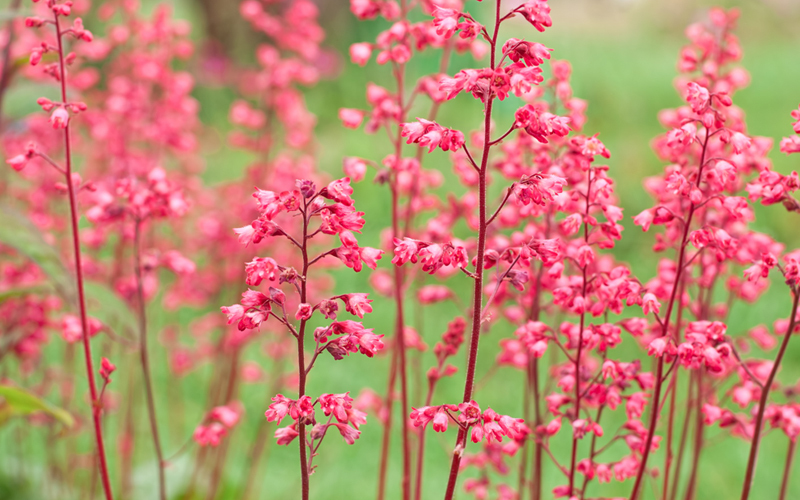 Coral Bells are low maintenance and the unique structure offers variety to your garden. Bleeding Hearts are perhaps one of the most ornamental shrubs suitable for shady borders. They are characterized by their flower petals, which look like hearts that are “bleeding.” These blossoms come in color combinations of pink and white, and foliage is a bluish-green color. 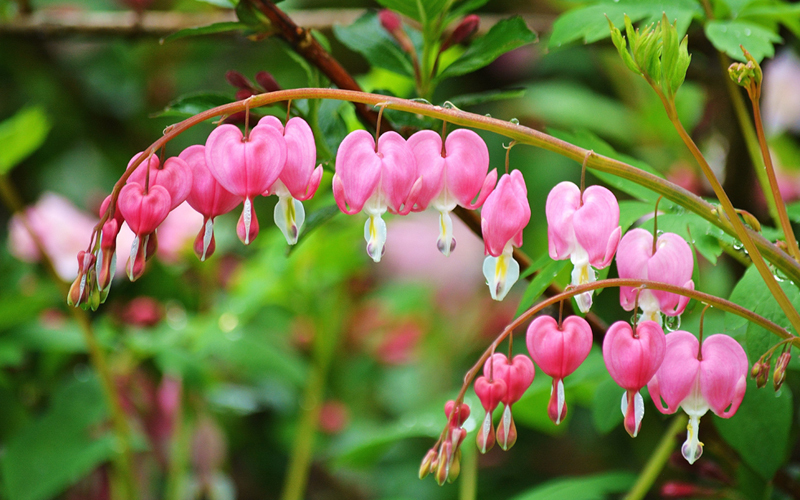 Bleeding Hearts prefer shady areas, so they are the perfect addition to a shady border garden. 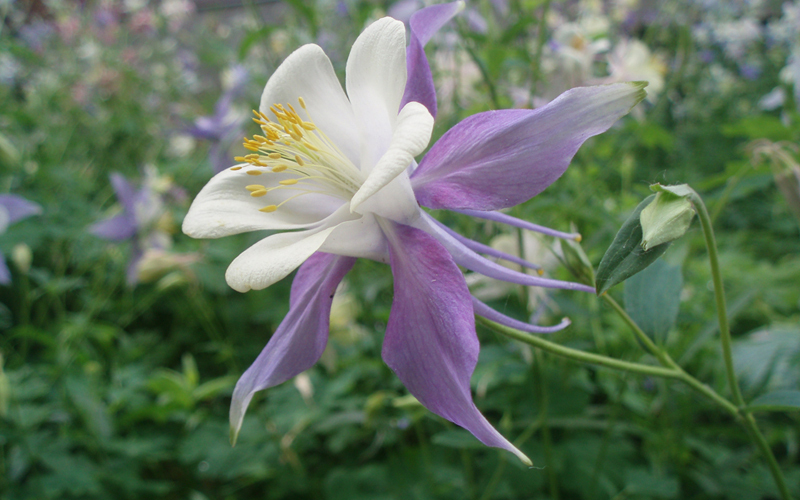 Columbines are bright, star-shaped wildflowers that come in almost any color. They also tend to cross-pollinate and hybridize, creating even more color varieties. The plants can grow from one to three feet high, and they tend to attract hummingbirds. Few shade-preferring plants will offer as much character as the Columbine flower. 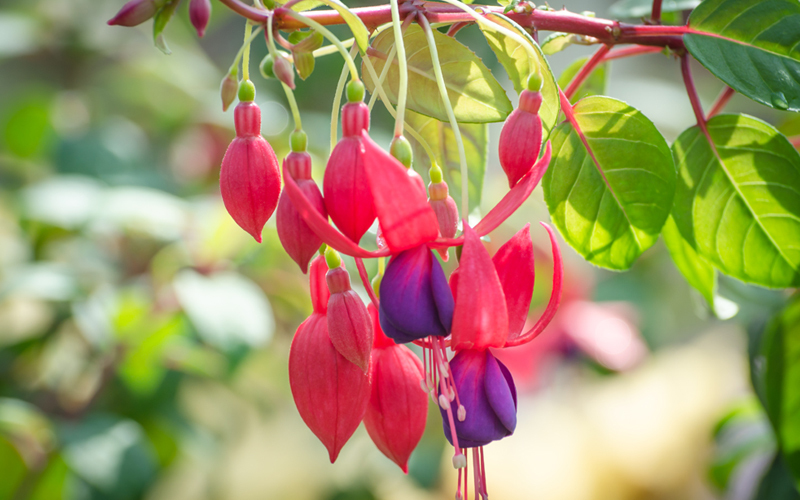 Fuchsias are exotic and bright two-tone flowers. They are a “teardrop” shape, and colors range from white to dark red, and can also be purple-blue and orange. These flowers grow well in hanging pots, and they require a lot of shade. 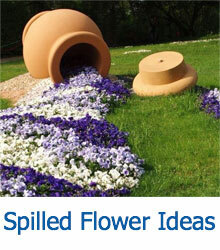 If you have a place to place a pot in a shaded area, these flowers are perfect. 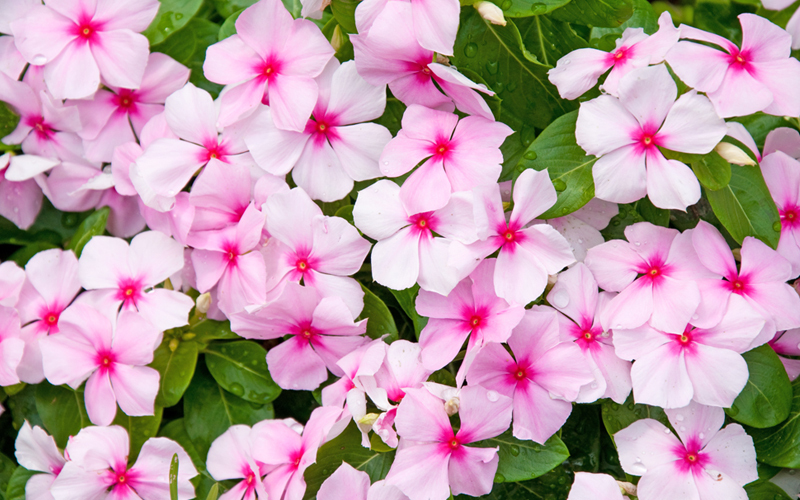 Impatiens are very diverse and come in a variety of shapes and colors.These plants are shade-lovers, and the vibrant flowers will spruce up any dark area of your lawn. They are annuals, and have gained popularity in ornamental gardens. Most varieties stay well under a meter tall, but the tallest breeds can actually grow to be two meters tall. 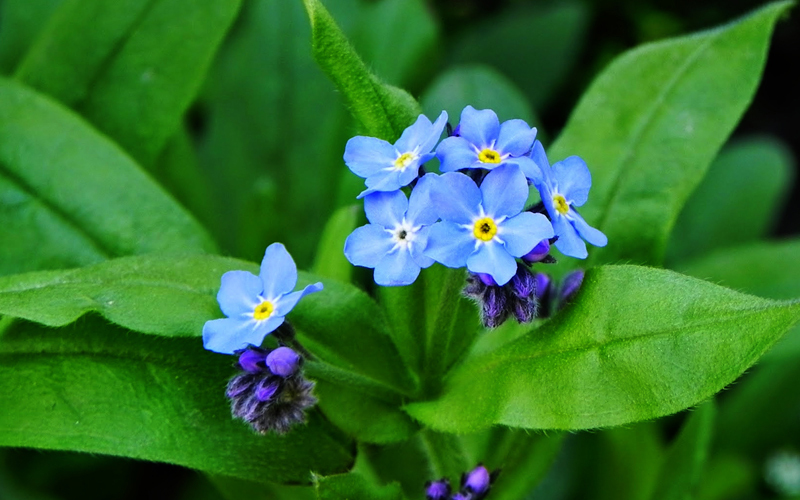 Forget-me-nots are trademarked for their clusters of small, light blue flowers with yellow centers. 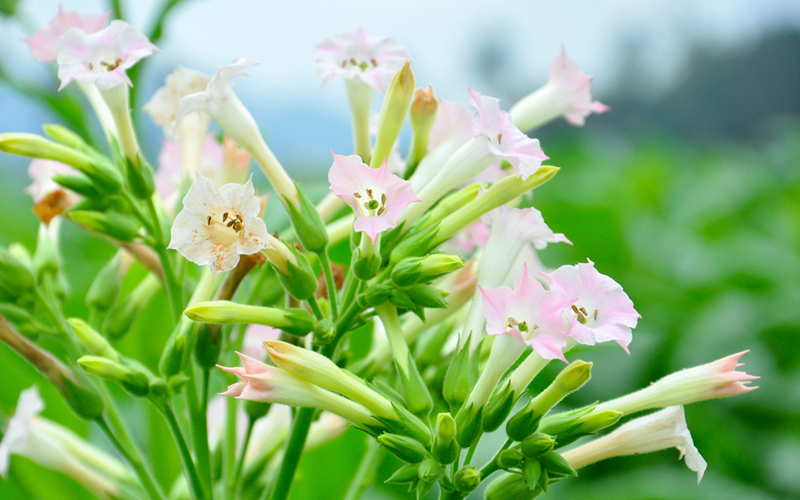 However, the flowers can also be pink, white, or yellow with yellow centers. They have beautiful, deep green foliage, and actually grow best in shade. Forget-me-nots can get up to two feet tall, and their blooms last throughout most of the spring, summer, and fall seasons. Did you find this list enjoyable and helpful? Shady borders can be stubborn to fill, unless you know the perfect plants for them. If you have any suggestions or you discover more plants to add to the list, please leave them in the comments section. 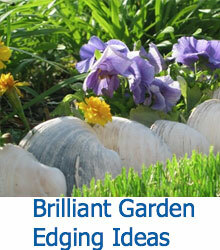 If you enjoyed this list, please share it with other gardeners!